The world's best stream team wraps up the story campaign in The Division 2 and gets ready to take a look at the meat and potatoes of the endgame. 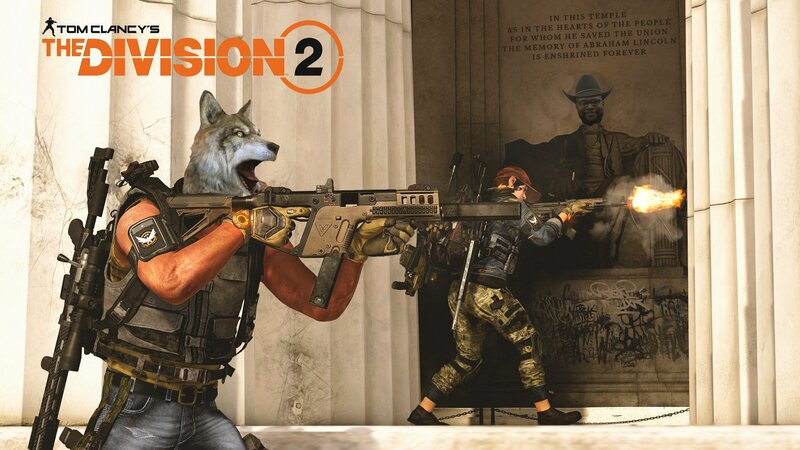 It would be fair to say that Ubisoft Massive has done a great job with building The Division 2. The loot shooter sequel delivers everything players loved about the first game while managing to improve most all aspects of the experience and offering a staggering amount of fun things to do in its insanely detailed open world. It will take most players thirty or more hours to work through the story missions and content without considering the wealth of side activities and collectibles. Once players reach the level cap of 30, a whole new Division experience opens up in the form of the endgame. The Division 2 has been featured on the ShackStream several times over the last month, but today will offer the first look at what series fans will be seeing over the coming months and years while looting and perfecting their builds. New difficulty settings are unlocked as well as variations and alterations to dynamic world events that appeared in the main story playthrough. The Dark Zone experience gets ramped up as well, so PvP players or PvE players looking for a more tense experience will have a lot to look forward to. The fun begins at 4:45 PM EST (1:45 PM PST) on the Official Shacknews Twitch Channel, so be sure to tune in. As always, you can find loads of great Division 2 guides and content on Shacknews.